“In sunshine and in shadow,” a line from Edgar Allan Poe’s poem, El Dorado is also the name of I.C. Smith’s website. This line aptly describes his more than twenty-five year career with the FBI, for he was one of the few agents who was equally comfortable being in the public spotlight, the “sunshine” if you will, while heading investigations of public corruption in Arkansas during Whitewater, as well as the shadowy world of spies and counterintelligence, especially that involving China. Under no circumstances should anyone conclude the FBI has endorsed any part of this website. I.C. Smith was born in Memphis, Tennessee and grew up in rural north Louisiana. He served in the U.S. Navy during the Vietnam era. While working as a police officer, he graduated from the University of Louisiana--Monroe with a liberal arts degree. In 1973 he joined the FBI, and over the next quarter century, he completed assignments in St. Louis, Missouri; Washington, D.C. (twice); Miami, Florida; and Little Rock, Arkansas where he retired as the Special Agent-in-Charge. I.C. retired in 1998, and he and his wife Carla moved to Essex County, Virginia the following year. In November 2004, his book, INSIDE, A Top G Man Exposes Spies, Lies and Bureaucratic Bungling Inside the FBI was published, resulting in appearances on C-SPAN's "Washington Journal" and "Book-TV." He contributed an article to The American Spectator that involved a review of former FBI Director Louie Freeh's book, MY FBI. In May 2010, I.C. 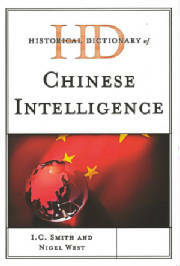 co-authored, Historical Dictionary of Chinese Intelligence, with British author Nigel West. Frequently, he is called upon to comment on national security issues and has been quoted in such magazines as US News & World Report, Newsweek, Time, and The New Yorker and in newspapers such as The Washington Post, Los Angeles Times, The Washington Times, and The New York Times. In addition, he has appeared on CBS Evening News, ABC News, the Public Broadcasting System, and others. He continues to live in Essex County where the renovation of an old farm house continues, but his main avocation is being a grandfather to four grandsons. 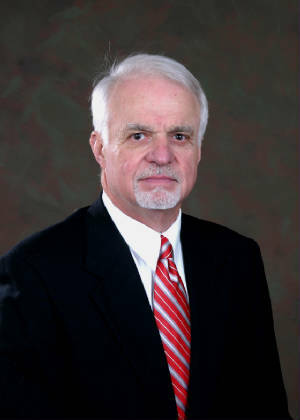 Since retirement, he has lectured at the Smithsonian Institution (three times), the Third and Sixth Raleigh Spy Conferences, at the International Spy Museum, and various agencies in the U.S. intelligence community. On April 4, 2006, he lectured on national security at a university in Arkansas as part of a guest lecture series, was interviewed by a Japanese film crew for a documentary about the normalization of relations with China by President Richard Nixon, testified before the U.S.-China Commission in April, 2009 and was interviewed by the Romanian Internet news service, HotNews. In St Louis, he was assigned general criminal investigations which included his obtaining the information that led to the solving of the murder of a police officer in St. Charles, Missouri--a murder committed by an individual in the Witness Protection Program. In Washington, D.C, he was first assigned public corruption investigations involving various congressmen, such as Congressmen Daniel Flood and Otto Passman. He then requested a transfer to a Chinese counterintelligence squad where he was promoted to the squad supervisor position and led the investigation of Larry Wu-tai Chin, the CIA employee who spied for the Chinese for three decades. He transferred to FBI Headquarters where he made the first applications for wiretaps of Chin before the highly secretive Foreign Intelligence Surveillance Court and handled the information from the source inside China who provided the information that led to Chin's identity. After spending a year as an Inspector's Aide traveling about the U.S., Hong Kong and Tokyo inspecting FBI offices, he was named the Unit Chief for the East German counterintelligence squad. There, he spent a month in West Germany as a guest of the Bundesamt fur Verfassungsshutz (the West German internal security service) that included a trip to Berlin and a rooftop visit to the Reichstaag, overlooking East Germany. Upon his return, he was transferred to Miami as the Assistant Special Agent in Charge where he handled a myriad of duties, including white collar crime, terrorism and Cuban counterintelligence. While there, he handled the defection of Cuban Air Force General Rafael del Pino, then and now, the highest ranking official ever to defect from Cuba. In 1988, he was transferred to Canberra, Australia as the FBI's Legal Attache with responsibility for the independent nations of the South Pacific, i.e. New Zealand, Papau New Guinea, Cook Islands, Vanahuata, Kiribati, etc. In 1990, he was promoted to the FBI's Senior Executive Service and transferred to the Department of State as Chief of Investigations, Counterintelligence Programs, Diplomatic Security where he traveled to the Soviet Union, Nicaragua and China. He was followed in both the Soviet Union and China, (he has a photograph in his book of one person who was following him in China), and it was later learned that Katrina Leung, the subject of the infamous Parlor Maid case in California (with whom two FBI agents had sexual relationships) had tipped off the Chinese of his visit. In 1991, he was promoted to FBI Headquarters as the Section Chief for Analysis, Budget and Training in the Natioal Security Division. There he was the primary liaison contact with foreign intelligence and security agencies and was the principal FBI representative for the U.S. Intelligence Community. His duties included representing the FBI on the National Foreign Intelligence Board, chaired by the Directors of Central Intelligence (James Woolsey and John Deutch) where the super-secret National Intelligence Estimates were produced. While there he lectured at the National War College, Eastern Michigan University and various other such forums involving national security issues. In 1995 he was transferred to Little Rock, Arkansas as Special Agent in Charge for the state. There he made public corruption the highest priority for the FBI and became intimately involved in high profile investigations of public officials in Arkansas, as well as the campaign finance investigations involving such characters as Charlie Trie and John Huang.